The original ZX Spectrum was typically connected to a portable audio cassette recorder to load and save programs. Later on, Sinclair released the Interface 1 with the Microdrive, a miniature tape interface that wasn't the most reliable (possibly a post on this at some point in the future). Several third party vendors released disk interfaces with varying degrees of popularity. For the most part though, tape was the the format software came on. As time progressed, and every other system was already using disks (or so it seemed), Amstrad decided to try and breathe some new life into the Spectrum by releasing the +3, with its built in disk drive. Possibly too little too late, and probably not helped by their choice of format, the +3 was the last of the Spectrum line. 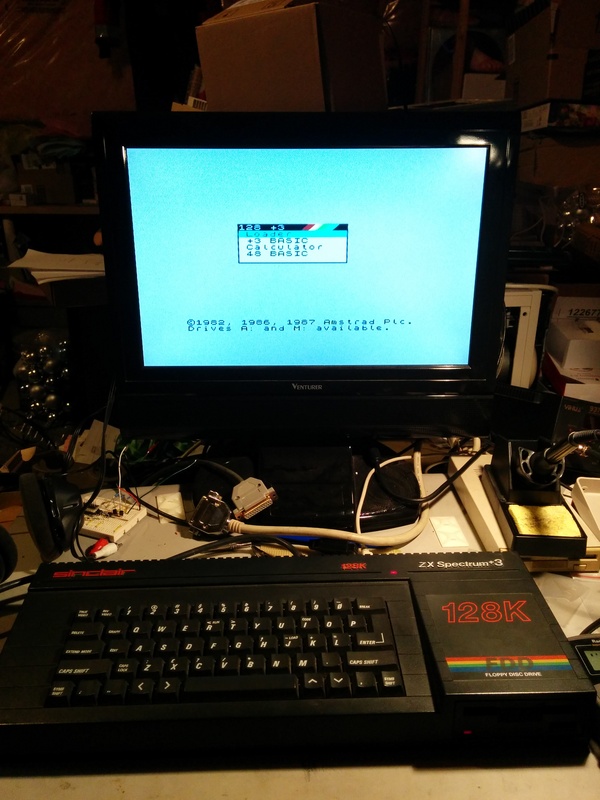 Seeing as the A1200 PSU replacement went so well, it was time to have a go at the ZX Spectrum +3. Much like the A1200, this also requires +5, +12, and -12V rails, with a similar sized casing (slightly wider and shorter). 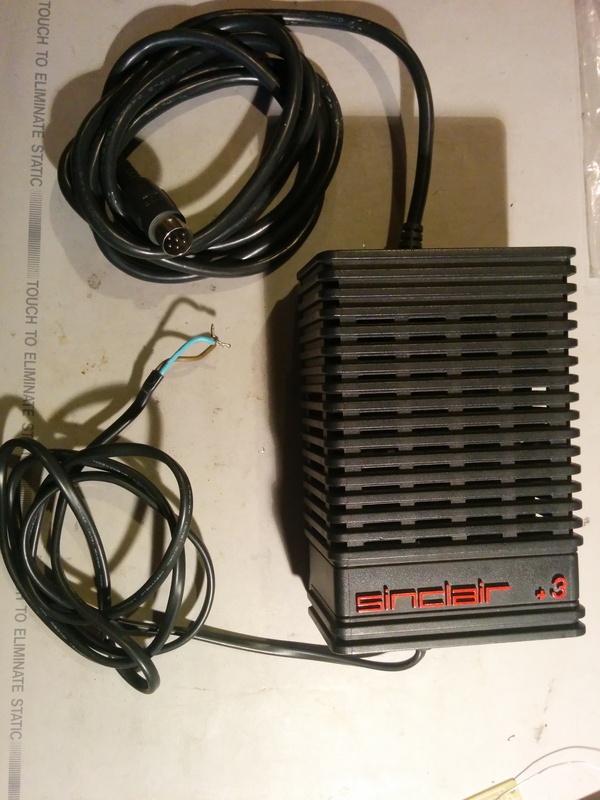 The original PSU was linear with a big, heavy, transformer - not ideal when you're trying to keep weight down for shipping. 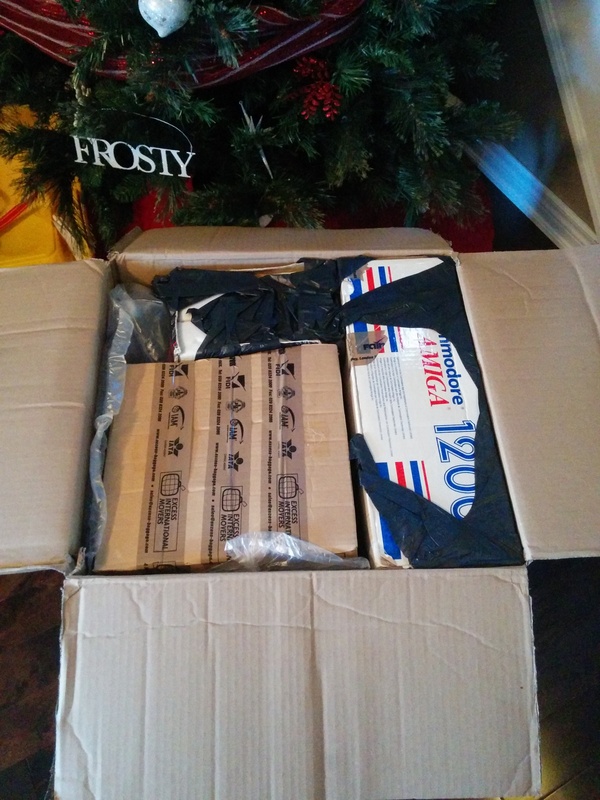 As a result, I'd already opened up the case and removed the existing supply before shipping the system. What I had in front of me was an empty shell. So January has rolled around and all my stuff from the UK is still sitting in the basement untouched. 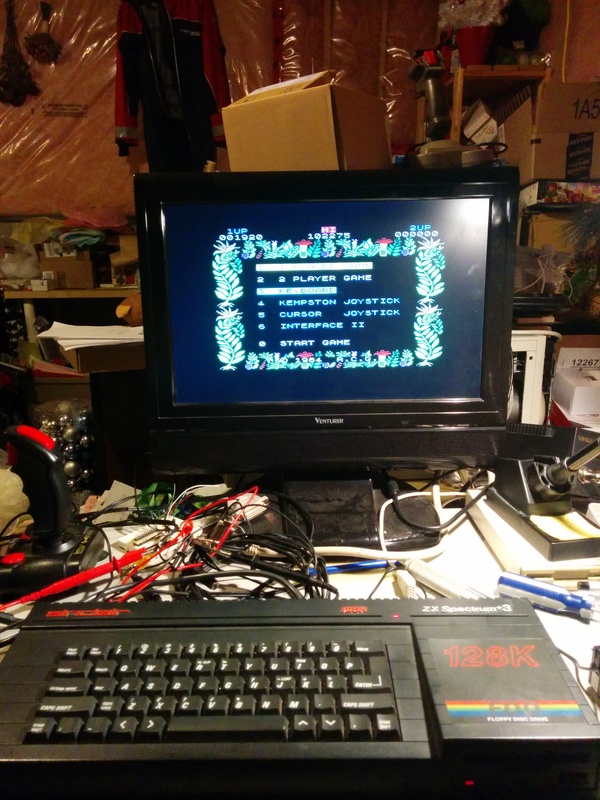 January is Retrochallenge time - I had intended on working on my 48k Spectrums, but I don't think that's going to happen for a while yet. However - getting my A1200 and +³ up and running seems like a good start. 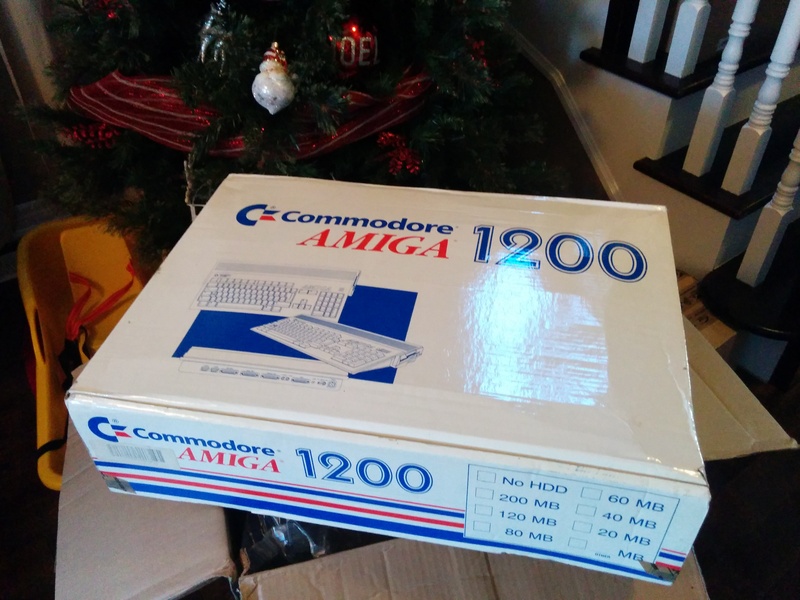 My A1200 was purchased, second-hand, for a friend at highschool as a replacement for my much loved A500, which by the mid-90s was getting a little long in the tooth. The A1200 represented quite the upgrade, going from a 68000 to a 68EC020 and it had a massive 60MB hard disk (compared to the 20MB I had in my A590). If memory serves, it set me back £60 - which without a job is rather a lot. It was my main machine for a while, before I got my first IBM PC (we had a family PC for quite some time), but that's a story for another post. Twas the day before Christmas and all through the house... Ok, maybe not - but it was Christmas Eve when the movers appeared with my big box of toys. As you can see, it didn't quite fit under the tree 🙂 With family descending on us the following day, I thought it would be a good idea to unpack it, take it downstairs, and snap a few photos in the process.